I just finished a project I started 8 (yes, EIGHT) years ago. I’m not sure exactly when I started it, but I know where I was living when I was blocking it originally, and I haven’t lived there in a very long time. I also know I got the yarn from a store that doesn’t exist anymore. The project is the Perfect Turtleneck, from Patons Design Series. 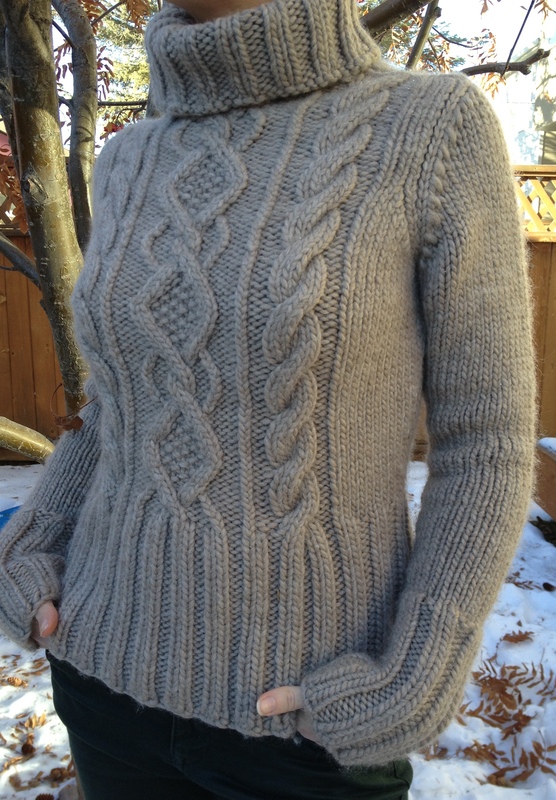 It’s a chunky cabled sweater with lots of ribbing and a giant turtleneck. 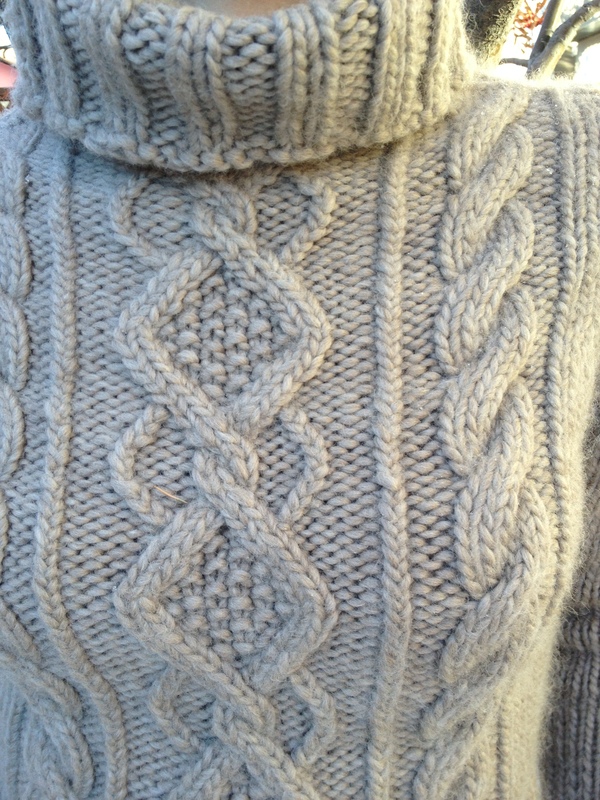 The cables are quite pretty, and I recall it being a very straight-forward pattern. I’ve been looking for mistakes, but apparently my knitting was better back then than I thought it was. The reason it had hibernated for so long is that when I tried seaming all the pieces together the yarn would untwist and pull apart. I got so frustrated with it that I put it away and forgot about it. I mentioned this to someone in passing recently and they suggested using a different yarn in a matching colour. After finishing all my Christmas knitting and not knowing what to start next, I resurrected this beast and got down to business. It took 3 evenings of work, but it’s finally done. Unfortunately, I have aged 8 years and gestated 2 children since I began this sweater and it just doesn’t work for me anymore. So, if you’d like to receive this sweater for free, leave a comment telling me about your Longest Project Ever (knitting or otherwise) and I’ll do a draw on January 11th (my birthday!). The sweater is a size small (fits a 34″ bust).